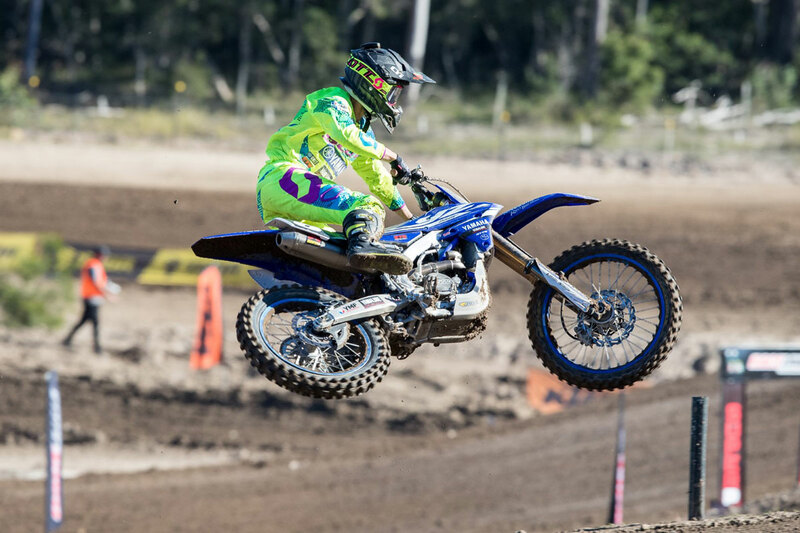 Yamalube Yamaha Racing’s Jay Wilson and Richie Evans again proved consistent at rounds seven and eight of the MX Nationals with post riders finishing inside the top 10 at each round in the ultra-competitive MX2 category. In some intense racing that saw lap times split by hundredths of a second, the MX2 class provided the best action of the weekend with almost every race going down to the final corner before a winner was determined. Jay Wilson lead the way for the Yamalube team, finishing fifth at round seven with 8-3 results. Wilson struggled to find his mo-jo in race one and lost all flow as he was shuffled back through the field to finish eighth but a fired-up Wilson was a man on a mission in race two and roared through the field to third and pressure the leading duo all the way to the finish. 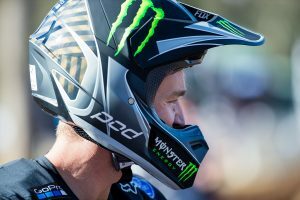 With his confidence restored and the track staying fast, Wilson again put together two good races in round eight to claim fourth overall for the round and move to fifth place in the MX2 championship. 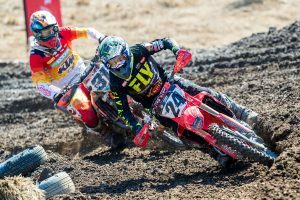 He finished with 5-4 results in the back to back motos and mixed it up with a fast freight train of riders all trading positions in a frantic seven lap battle. “The first moto of the weekend was terrible and I don’t even want to think about it but it was good to be able to come back out in the other three races and redeem myself get things back on track. They may not have been race wins but they were good rides and I was in the battle for the win and podiums and that’s where I should be every race. “The double header weeks are hard on everyone and again the team did a great job. Thank you to them and our sponsors and hopefully we will be back on the box soon,” Wilson ends. Richie Evans also proved consistent over the weekend and finished each round inside the top 10 despite dealing with an eye issue which affected him all weekend. Evans woke up on Saturday morning with a red and blood shot right eye and was in considerable pain that only worsened throughout the weekend. But, he still battled on bravely and took 6-12 results to claim eighth overall at round seven and then improved one place to land in seventh the following day with 10-5 finishes. “I struggled with starts all weekend and then when I did get a good one, I was able to finish fifth, so it is good to know that I can run top five speed at a national event,” Evans states. August 5 is the date for round nine of the MX Nationals where Gladstone in Queensland will host the penultimate round of the championship.